Hi Guys, We have a Studio available in Zetland! Perfect for a couple or a single person! 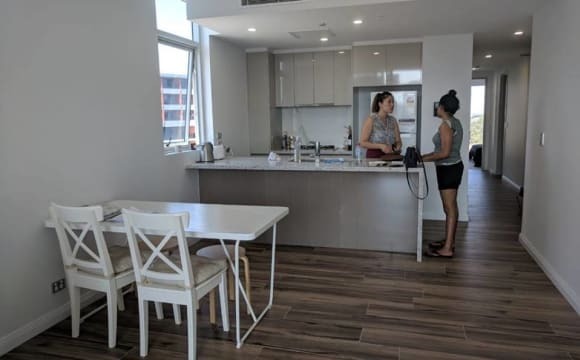 (Good for two people) - Fully furnished, all new kitchen built-in wardrobes; - Laundry facilities; - All bills included (gas, electricity and water services); - Balcony with a beautiful view; - Internet is not provided. Luxury building with an amazing pool, BBQ facilities and jacuzzi. Close to public transports! Constant buses to the city, 10 minutes from Green Square train station to the CBD. 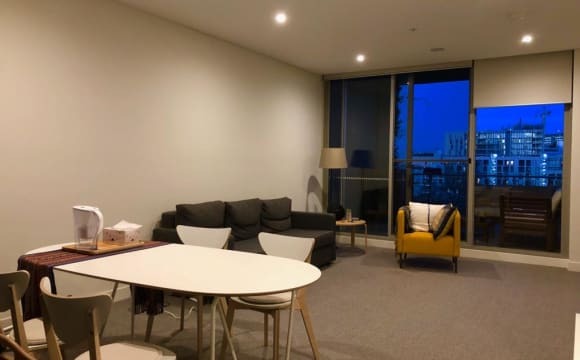 Rent: $527 per week Key deposit: $1500 (Refundable upon check-out) Check-out cleaning fee: $80 Parking available - $37 per week Please, feel free to contact me to organise an inspection. It’s a nearly new apartment with great maintenance. We are so enjoy about our big balcony, with city view and nice sunshine. And our bbq is coming soon. The location is unbeatable. 2 min walking to green square station, which is 1 stop to central. On the top of Woolworth, and next to the green square library. This is a two bedrooms apart. The double room is pretty big and with your own toilet next door. We have everything you need in the living room and kitchen. Aircon, Netflix, unlimited nbn and more features are available. 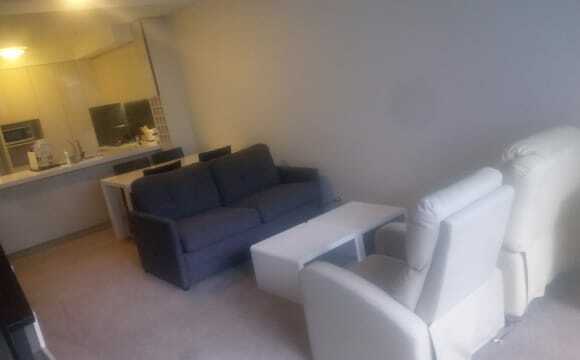 Spacious and fully furnished modern 2 bedroom 2 bathroom apt. 2min walk from East Village. Your room offers a comfy queen sized bed , built in wardrobe, ensuite bathroom and access to balcony. This flat is fully furnished so you don't need to bring anything. Apartment has everything you need plus: Swimming Pool Outdoor area BBQ areas Wifi unlimited included in rent The apartment is in an amazing location, with East Village shopping Centre no more than 2 min walk distance offering everything you need on your doorstep, Gym, Supermarkets, Restaurants and more. Easy to get around Bus Stops are steps away from the building. and Green square Station is a 12/15 mins walk distance; 1 stop to Central or 2 stops to the airport. $500 per week with internet and all bills included. 4 weeks bond and a minimum of 3 month lease. Available from 3rd of June. I'm Looking for a clean professional either male or female. Shoot me a PM if you want to come check it out or have any questions. 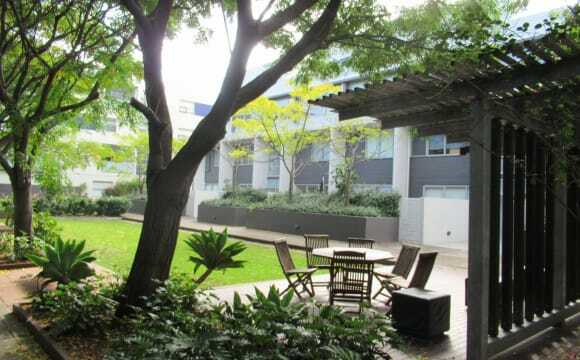 The property is a modern Meriton apartment with amazing facilities and outstanding design. The property has a pool, gym, sauna and jacuzzi in the building. The flat itself has a beautiful kitchen, full equipped for your cooking needs. We have a very warming living room to watch movies and my personal favourite feature the 18 Floor view from the Balcony. My room has a glass window wall which provides beautiful views day and night right from the bedroom. Studio Style Master bedroom! Available Now! A friendly non smoking professional wanted to share furnished lovely Townhouse with all the modern cons. Our Townhouse is located on a quiet Street with front and back yards; the back yard is adjoined to the community garden, it's very peaceful and it's for you too! The master bedroom with ensuite is on one whole level like a studio. Room is large with two built-in wardrobes and furnished with Queen size bed. You have total privacy! 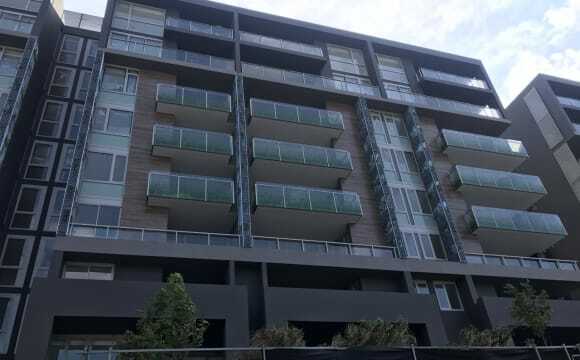 There is also a massive balcony and the north facing sliding windows overlooking the community garden space. Zetland is a vibrant residential area not far from Redfern Waterloo and Surry Hills area. It has beautiful parks, garden and treelined streets. A five-minute walk from our house and you are at the famous East Village shopping center which has Coles , speciality shops, Westpac ,a Medical center. As well as some amazing Cafes, resturants and bars. Like to get fit?! Virgin Gym is at the same building too! Our town house is: 10 mins walk to Green Square Station just one stop to Central station takes only 5min, another 3 mins to TownHall station. 2 mins walk to M20 and 304, 343 ; other buses to the city. 10 min Uber ride to airport or city about $12 We have accommodated many Europeans who came here to work or study and we became very good friends even after they left. They have great memories of living with us; hope you do too! We are a working professional couple and we have the cutest 3- year old boy. Our baby is in very good routines for day naps and night sleeps. He is very adorable! We stay on the second floor; we won't bother each other at all. $410 for one person or $460 for 2 people. Bills included ( Electricity, gas and water); Not included $7.50 per week for NBN internet. ( WIFI) Short term ( 3-6 months) is welcome; $10 extra/ week for the rent. easy going Euro guy looking for a flatmate to share .Bedroom has a brand new double bed.Storage downstairs $340 p/w + BOND $800.NO COUPLES,NO BACKPACKERS,STUDENTS or TOURISTS.Available from 31/6/2019 Minimum stay 3 months and max. 10 months. Car Space $10 extra a week if needed. Brand new! Close to city, one stop to central. Close to all amenities. City View. Woolworth Downstairs I am very friendly and easy going. Would like someone to enjoy this place and treat it like own home. Room available to share with one person. All bills included. Its a brand new building. Opposite Green square station, One stop to Central. 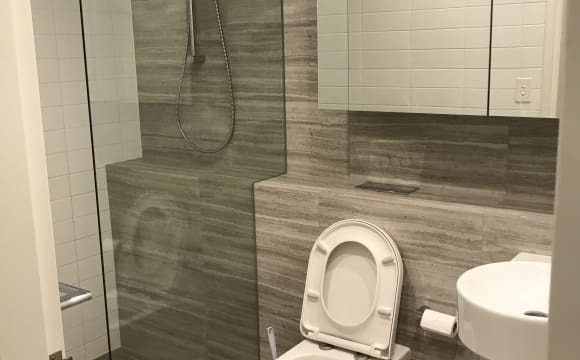 One huge bathroom for share with only 1 person. Huge balcony with city view, a great place to relax. Can provide bed if required. &gt; Rooftop pool 🏊‍♀️ &gt; 5 mins walk to Coles. &gt; 0 min walk to bus stop. It’s downstairs. &gt; Parks for morning runs. &gt; 3.5 Km from City. Newly Renovated Spacious Furnished Room in a 2-Bedroom Apartment Available in Zetland Features: GYM facility, Indoor Swimming Pool, Sauna, Free internet, Fully furnished, Laundry included in the house, Queen size bed, Ensuited Kitchen (Refrigerator included), Bathroom and Balcony Not for Couples, no pet is allowed Prefer messages with profile pictures and brief introduction provided Advantages: Prime location,close to UNSW, Eastvillage and Greensquare station. 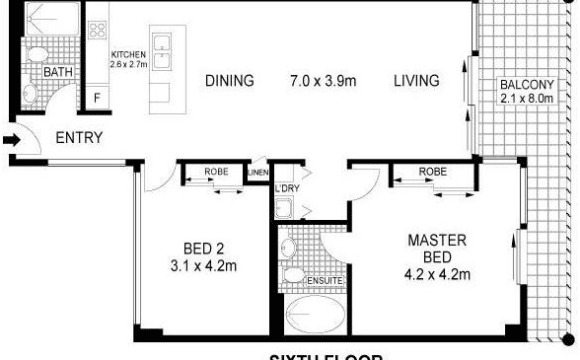 Spacious master bedroom with en-suite, large built in wardrobe and private balcony, in a two storey apartment. 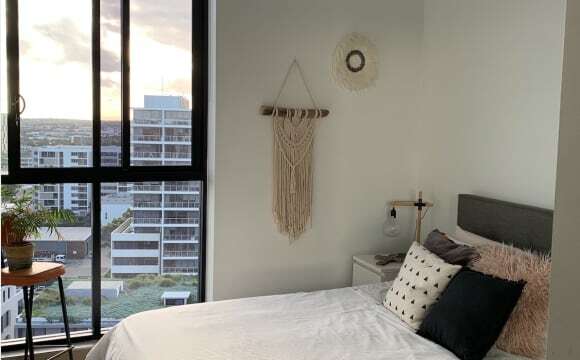 The bedroom is on the top floor which you can have full privacy and it can be furnished or unfurnished however the apartment will be fully furnished. Also the complex has a heated outdoor swimming pool and gymnasium and common BBQ garden. Only a short walk to East Village shopping centre, and a 10 minutes walk to Green Square train station. We will be moving here starting from the 24th of April and hopefully everything will be set up in a few days from then. 2 bedroom, 2 bathroom flat. You will have your bedroom with double built in robe. Your own bathroom. Your own carpark in underground secure parking. Gym, Sauna, Swimming pool access. Air con and heating in every room with your own remote for your own desired temperature. Internet $30 a month. Secure building. Super chill male housemate in late 20’s. Very friendly. Works hard. Outdoorsy on weekends. Minutes walk to East Village shopping centre. I am happy to leave my room furnished if required. Bills on top. The apartment features: •	2 bedroom, 2 bathrooms •	Modern, fully furnished living and dining •	Private internal laundry •	Dishwasher •	Outdoor pool and communal gardens •	Private balcony and BBQ •	Security access •	Broadband Internet + Netflix and Stan Walking distance to East Village shopping complex which features: •	Virgin active gym •	Coles •	Restaurants •	Speciality shops The room itself features built in mirrored wardrobes and is available furnished or unfurnished depending on your preference. The private bathroom is the apartments large master bathroom. 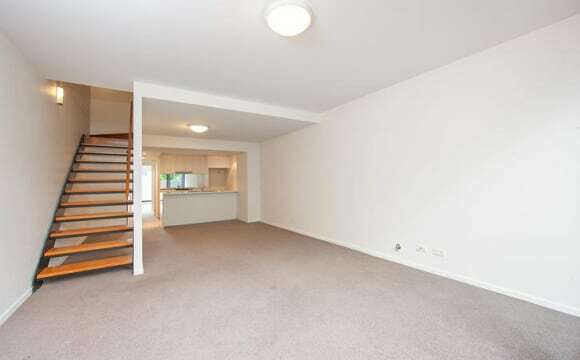 A clean, modern two storey, 2-bedroom, 2-bathroom apartment in the heart of Zetland. It features a combine living/kitchen area with comfortable sofa, big screen TV, dining table and chairs and a private balcony overlooking an internal courtyard. 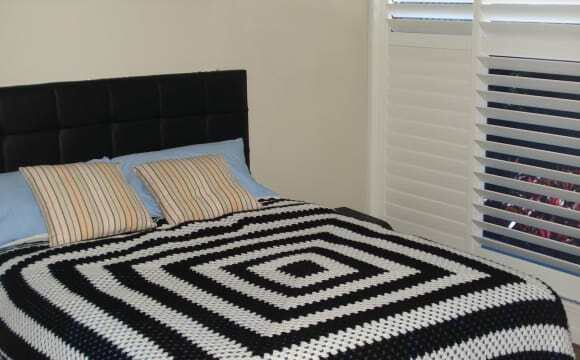 The bedroom comes with its own bathroom and can come furnished (as per the pictures) or unfurnished. The complex has a small gym and lap pool and is located across the road from East Village shopping centre. There are multiple bus route options and a short walk to Green Square train station. On-street parking is limited to 4-hours per day but you could look into renting a car space in the building or surrounding apartments, if needed. Bills are are split evenly and include - gas &amp; electricity approx. $70 per month - unlimited NBN internet $70 per month - cleaner $90 per month - Stan/Netflix $30 per month - household cleaning products/toilet paper etc $20 per month (put in a kitty) I'm looking to share with a professional person, who is working full-time, has an active life outside the home and is a positive and considerate flatmate. Someone who is open to hanging out, having a chat and laugh, sharing a meal and a glass or 2 of whatever your tipple is (for me its Champagne) but who respects each others space and privacy. Communication is the key to any successful relationship, so a chat early on how living together would work will help elevate any issues down the track. Shared spaces are kept clean in between the cleaner coming monthly. Noise is kept to a minimum during the working week and a heads up in advance of visitors coming to stay/dinner parties etc is just common curtesy. The brilliant shopping center "East Village" is just a stone's throw away. Transport is easy, from Green Square station to multiple bus options. Gelato Messina and the Archie Rose distillery are just far enough away that you'll feel you've earned your treat walking to/from them. Zetland is quiet and safe, with some trendy cafes and restaurants nearby. The resort style pool and communal bbqs are nice (but we have a bbq on our balcony too). Fast wireless internet and power/gas bill included. No air-conditioning (yet) but I intend to offer to install it if the landlord shares costs. Master room with bathroom. Very close to the Green Square Station (only 2 mins walk to the train station or bus station), one stop to the central station,city circle trains every 5 mins. Bus can reach SYU, UNSW, UTS and beach. High level apartment with wonderful city view. Settled at June,brand new furniture provided. Air-conditioning, household appliances all ready. woolworth, library and cafe just on the street. It is a lavish place to be living in. Beautiful view from the balcony. It is on the 6th floor. Really close to the bus stop and supermarket. And a newly developed neighbourhood. Centralized air conditioning included. It has free access to gym and swimming pool.